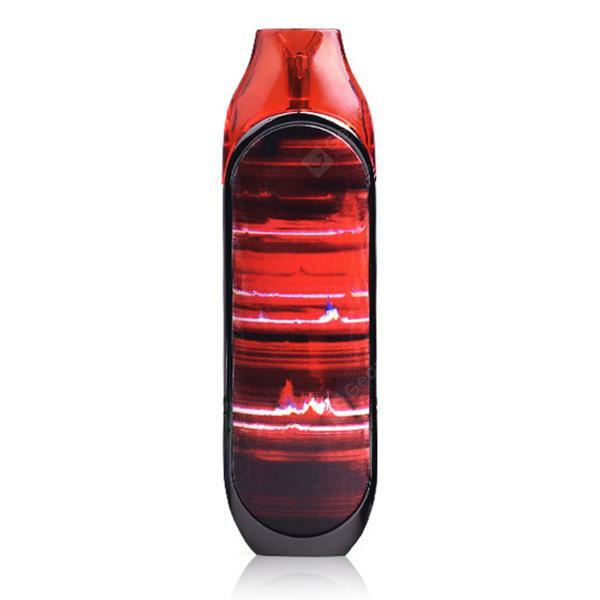 CoilART Mino Pod Starter Kit 320mAh - RED w cenie $20.99 | Chińskie kupony rabatowe, zniżki i okazje! CoilART Vape Pod System Kit is CoilART’s first pod device introduced into the market, it is powered by a built-in internal 320mAh battery with a max wattage output of 13W, can be charged by Micro USB cable, plus a 2mL refillable pod that doesn’t leak and no spit back. The CoilART is a Kit that uses a draw activated firing mechanism with no fire button, it is easy to use, even if you know nothing about how to operate e-cig products. The Pod System kit by CoilART has a luxurious design panel with artistic level texture, the connection is Gold Plated and Proprietary, small and exquisite, brings you great hand feeling and vaping experience.